If you've been injured in a car accident, eCarCrash helps you get your bills paid, settle your claim, and get you back on the road. We provide the tools and knowledge you need to get a fair settlement from the insurance company. Get the key documents you need to send to the insurance company. Just answer a few easy questions and eCarCrash will automatically generate all of the documents you need to handle your claim. You’ll also get helpful tips along the way that will simplify the insurance claims process. You probably have medical bills, lost time from work, and your car needs repair. How can you be sure the insurance company is fully compensating you for your losses? eCarCrash helps you understand the fair value of your claim, so you’ll know whether the insurance company is giving you their best settlement offer. Save thousands in attorneys’ fees. Did you know that you don't need an attorney to settle your car accident claim? Most car accident claims are simple to resolve on your own, without an attorney. 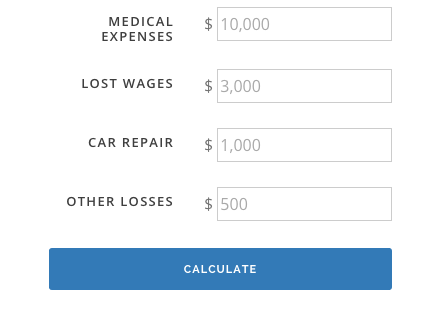 Attorneys are expensive, typically charging at least 1⁄3 of the total settlement. That means if you have an $18,000 insurance claim, you will have to pay your attorney at least $6,000. By handling your claim on your own you'll be able to keep all of your settlement money. How much does the insurance company owe you? If you've been injured in a car accident and the accident was the other driver's fault, the other driver's insurance company owes you money for your injuries. 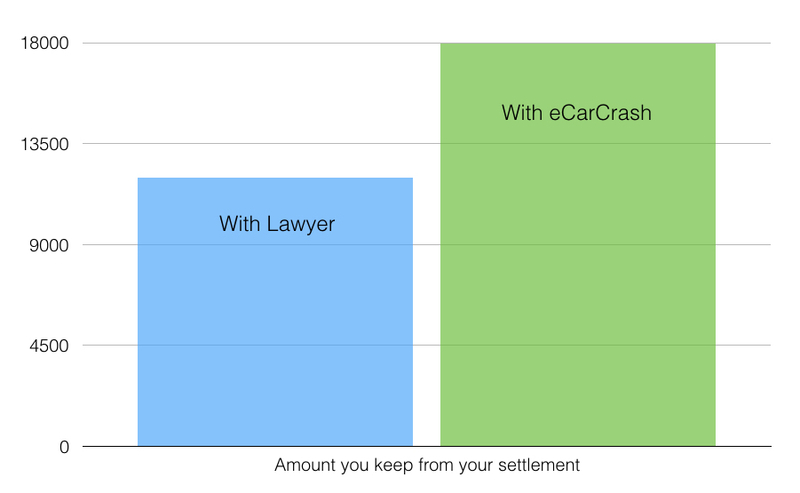 eCarCrash helps you get money the insurance company owes you. Just answer a few easy questions and eCarCrash will automatically generate all of the documents you need to handle your claim. You’ll get helpful tips along the way, so you'll know exactly what to do after a car accident.